CSAIL's Baxter robot, controlled by an operator using VR. 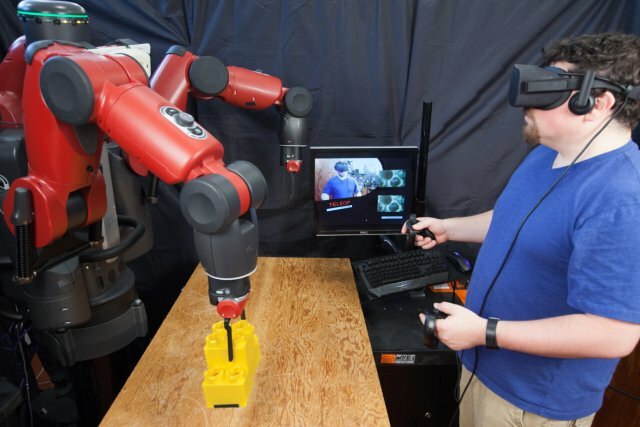 Telepresence robotics and virtual reality are two exciting technologies, and by combining the two in a relatively inexpensive way, engineers at MIT’s Computer Science and Artificial Intelligence Laboratory (CSAIL) have developed a smarter and safer manufacturing tool. Remotely operated robots are not new in manufacturing. But they tend to be highly specialized and, as a result, expensive to deploy and maintain. 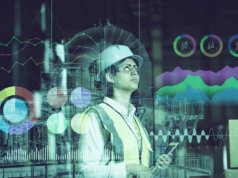 By combining Rene Descartes’ ‘homunculus’ notion of mind with off-the-shelf virtual reality equipment, researchers at CSAIL are hoping to navigate the barriers to widespread adoption across the manufacturing industry. 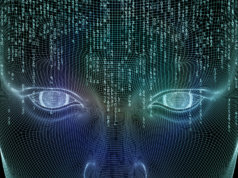 In practice, this means that instead of operating machinery from a purely first-person perspective, the user is placed in a virtual control room. 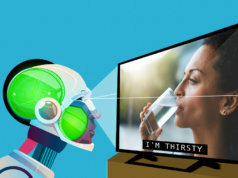 That position is ostensibly mounted inside the robot’s head, where a number of displays show the input from different cameras and the joystick controllers. The result is a simplified, easy-to-use VR system that uses 2D images to provide the sensory information required to control the robot. 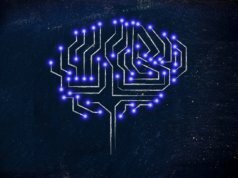 Instead of relying on a powerful (and expensive) computer system to build an immersive (and often overwhelming) 3D space, the brain infers depth for itself and the user has a less daunting experience. The CSAIL team uses its VR platform with a two-armed robot, Baxter. So far, it’s been used for simple tasks such as connecting two blocks together. Testing has been undertaken in a number of network conditions, including wired, wirelessly from the next room and remotely from a hotel room in Virginia. 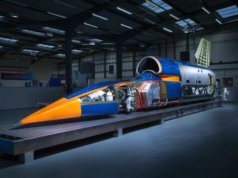 All tests have been successful and could soon offer a number of new manufacturing applications. 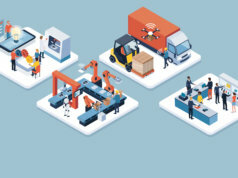 One that has been raised is remote supervision: if a robot gets into difficulty on an assembly line, for example, a human worker might take control with a simple headset and joystick combination.